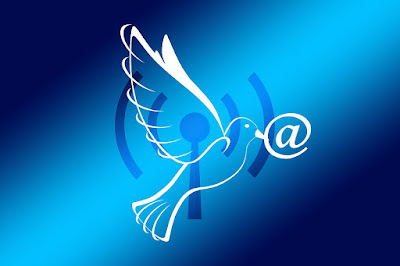 According to Wikipedia : A Hotspot is a physical location where people may obtain Internet access, typically using Wi-Fi technology, via a wireless local area network (WLAN) using a router connected to an internet service provider. 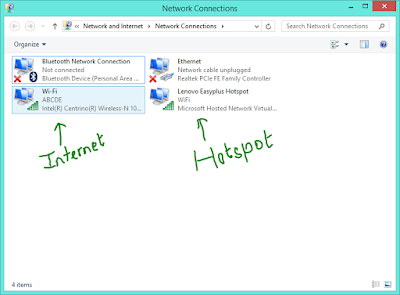 Hotspot is very useful when you have to share internet, play multiplayer games with friends, transfer files, streaming audios/videos, host your localhost server, etc. There're plenty of software through which you can create wifi hotspot. 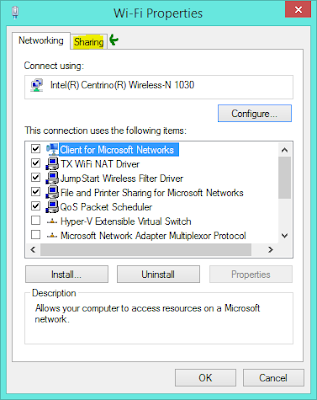 But you can also create wifi hotspot without using any additional software.You don't have to download any WiFi Hotspot related software. 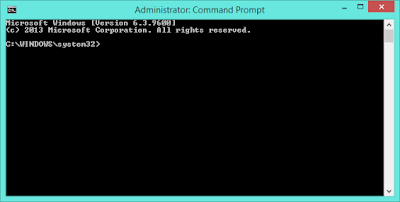 And this can be achieved through command prompt . 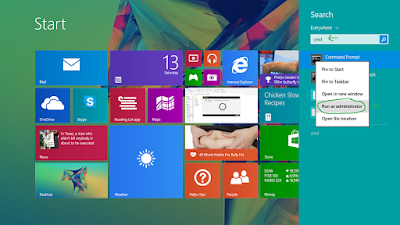 However, if you want to use the software, i would recommend to use My WiFi Router which is free. 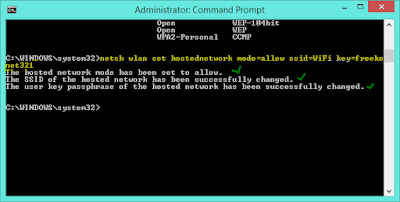 Check wifi hostpot is supported or not. 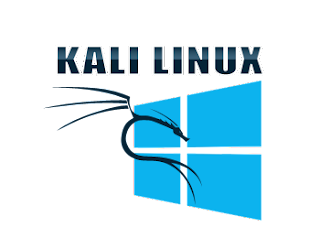 Open CMD with admin privilege( Run as administrator ). A terminal window will appear. If you see " Hosted network supported : Yes " , then you can continue. But if you don't then sorry, your wlan adapter doesn't support the hosted network so, hotspot won't work. Now type: netsh wlan set hostednetwork mode=allow ssid=wifiname key=wifipassword, Eg: netsh wlan set hostednetwork mode=allow ssid=WiFi key=freekonet321 . 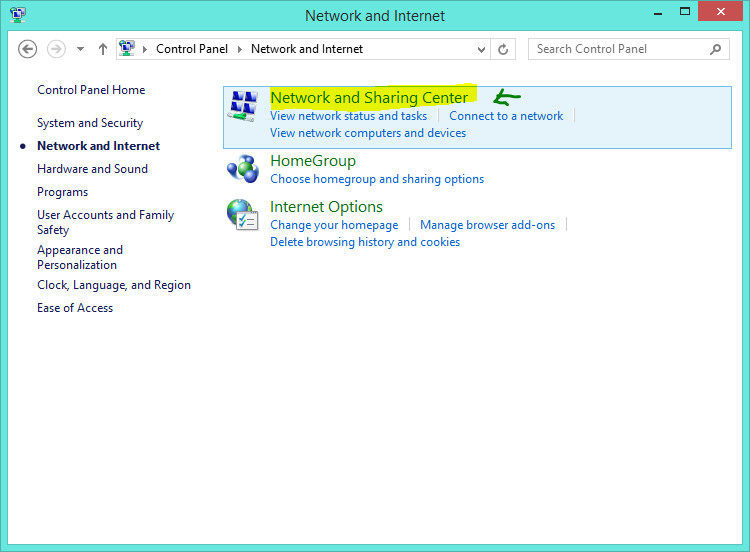 Now, it's time to share internet to this hotspot connection, you must have working internet connection. 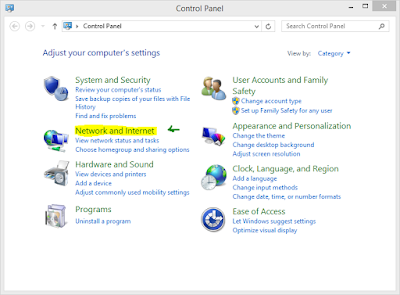 I have a wireless internet connection i.e. 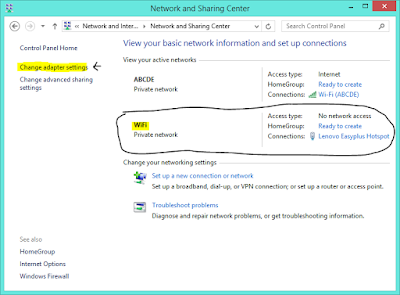 WiFi ( ABCDE ), in your case it might be different. 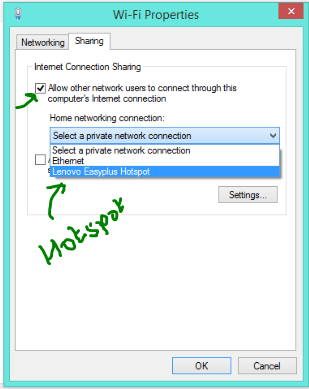 And i am going to share my internet to this Hotspot. 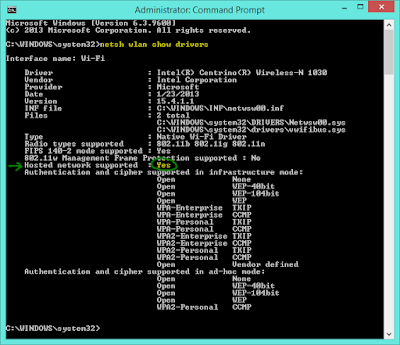 To do so, open Control panel. 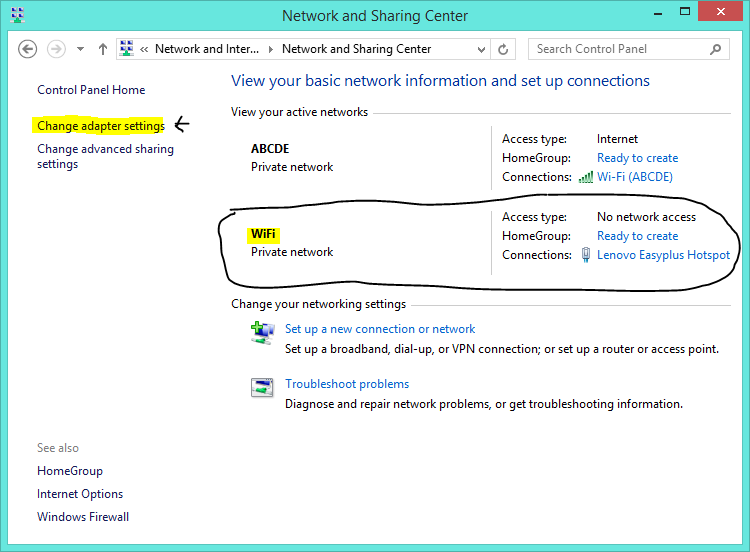 Here, ABCDE has working internet connection and WiFi is our hotspot name. Open Change adapter settings. And you will see like this. 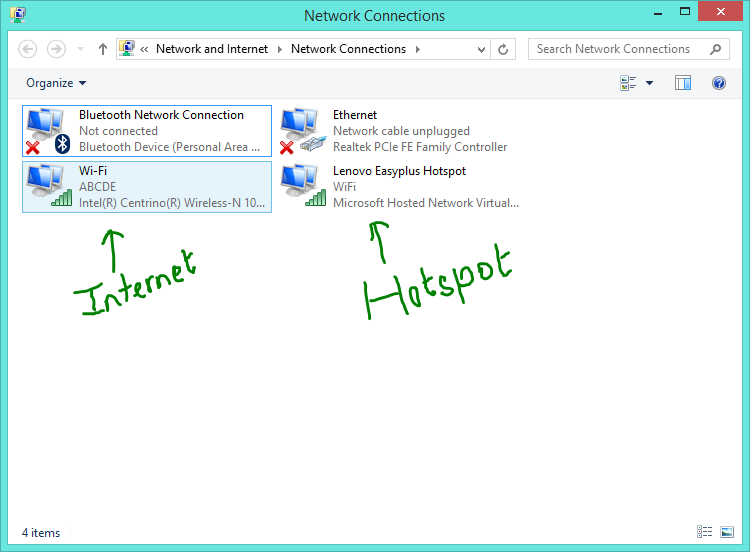 Right click > properties on the adapter which has working internet connection, in my case Wi-Fi has, so i want to share internet from here. 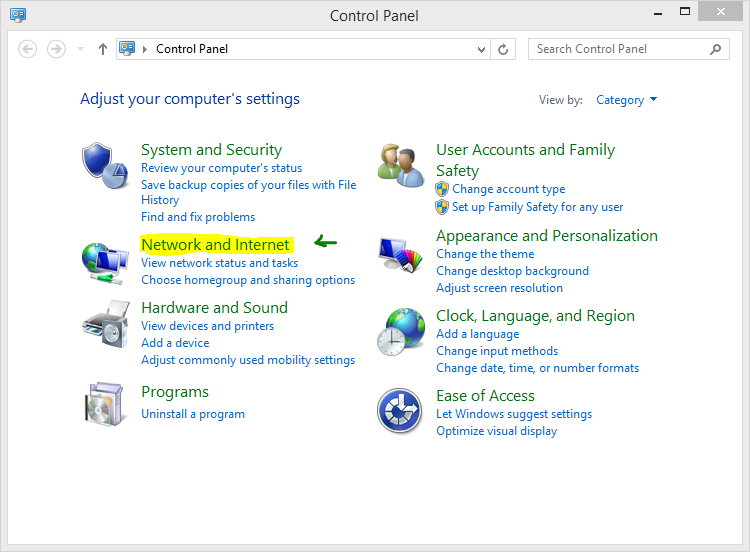 Check "Allow other network users to connect through this computer's Internet connection". 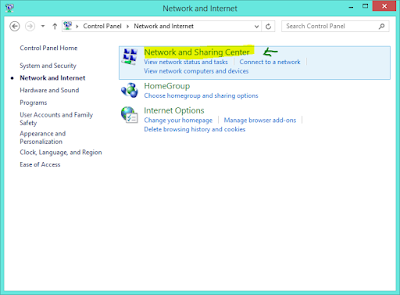 Scroll down the "Home networking connection" and select the Hotspot ( Microsoft hosted network ... ) , in my case it is Lenovo Easyplus Hotspot ( becasuse of SHAREit , you don't need it. ) 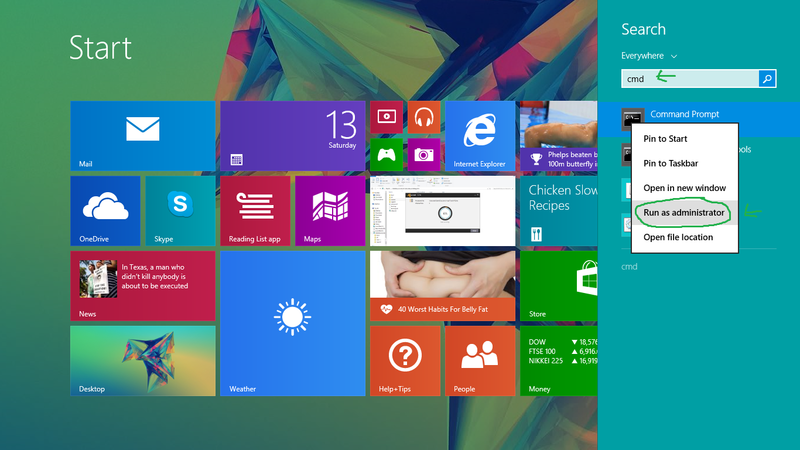 and click "OK" , if you see a warning notification click "OK". Now it's time to restart, so we stop the hotspot and start again.